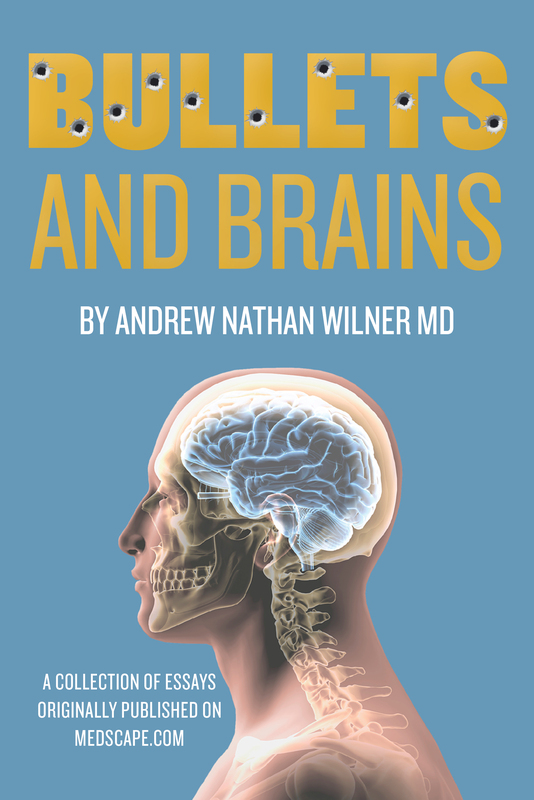 Bullets and Brains is a collection of over 100 essays about people and their brains written by a neurologist and epilepsy specialist. These articles appeared over the last four years in two Medscape.com columns, “Wilner on Neurology” and “Epilepsy Notes,” as well as other special articles. Medscape.com is a division of WebMD, a leading provider of health information. Bullets and Brains is available on Amazon.com. This entry was posted in Creative Nonfiction. Bookmark the permalink. Follow Dr. Wilner's creative process!